I prevent people from having to work past the age of 40 by buying and holding rental real estate. Whether you're looking to start and manage your own portfolio and be a landlord, or make a rock-solid return by doing none of the work as a passive investor, I can help you create a predictable, dependable income stream that can replace your job. Wouldn’t you like to have control of your time? In this process, I will bring you full circle from consulting you based on your personal needs, choosing the right road based on those needs, simplifying the often over-complicated market, sourcing on and off-market deals that can be .80 on the dollar or better, hold you by the hand to cost-effectively bringing the property to market, and capturing you that predictable, dependable stream of income. Additionally, I’m a father of 5 so family is number one! I believe in giving always, so I serve my community as a member of the Board of Directors for 5 local Not-For-Profits. If you don’t want to work past 40 y/o, call me. If your past 40, you really need to call me. I confirm that I worked with Christopher Leon in the buying or selling of this property. - Chris was a refreshing experience. I was impressed with his knowledge on how to sell our home. He was informative, professional and courteous .We will definitely use Chris again and will recommend him to anyone selling their home. - This is the 4th time we have used Christopher Leon's services for renting investment property. Each experience has been consistently at a superior level. Chris kept us informed throughout the process. Christopher's people skills, professionalism and knowledge of the Real Estate Market are his greatest assets. I would highly recommend Christopher Leon for all aspects of Real Estate Service; Rent, Buy, Sell and Investment..
- I had the best service expirience with Chris that I've ever had in ANY industry prior. I wouldn't go anywhere else! Reviewed by Jeff Elgin, IL. - Christopher went above and beyond our expectations. I would highly recommend him to anyone in the future. - We received 8 offers on our home in just 2 days on the market! Christopher Leon worked with us to get us the best offer and also got us well above asking price. Working with him on the purchase of our new home was also a great experience! We had many changes in what we were looking for in a new home and he was awesome in helping us every step of the way to find the perfect home for our family. - Chris was a recommendation form a very close friend and he was the greatest Real Estate Agent i have ever dealt with. He is the only one i will use in the future!! He was easy to work with, accommodating for our schedule, nice, and best of all my family was able to create a new friend through all this! He will be highly recommended to anyone i know that is in the market for a house!!!! - Honestly the best realtor out there! On top of everything that needs to get done. He works with you if you have a unique schedule. He worked for the best deal that we could get for the house no questions asked, and he got it! Love my house and Chris made our buying experience 110% better!!! I would recommend him to ANYONE! - As an investor, it is important to have knowledgeable and trustworthy partners on your team. Chris has been exactly that throughout our last few transactions, which is why we continue to work with him. nOn this particular property, Chris was able to source a great tenant for us in under 2 weeks, beating our goal of 30 days. His understanding of pricing, criteria, and area demographics are a huge help in the rental property market. - Chris is very professional, knowledgeable, patient, and always thinks from the clients perspective. We worked with him on renting out our condo and the whole process has been very smooth. One point I'd like to highlight is he is very honest. Chris will tell you the truth based on facts & experience, not necessarily just something you would like to hear, i.e. the price point, things to improve in the house, etc. I would highly recommend him to anyone who is looking for a realtor. - Chris was referred to me by a friend and neighbor. Chris sold my property for the full asking price, he is extremely knowledgeable and has his finger on the pulse of the market. Chris not only sold my property but was able to hook me up with a reliable mover who moved my personal property at a very reasonable price.. I did throw Chris a couple curve balls and he still knocked it out of the Park. 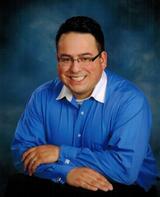 - Chris provides a level of service that is premium to what you would find in other realtors. He really listens to what YOUR wants and needs are. His knowledge of his territory is immense and this is reflected in the advice he offers. He is great at managing expectations and making you feel comfortable about whatever you are doing. Thanks Chris. - Chris's knowledge about today's real estate market was an enormous help with sourcing tenants for my rental property as well as purchasing a new primary residence for myself. He is truly an expert in all concepts required to complete both types of deals. From explaining the legal underlining in offers/contracts to recommending design changes, we felt confident in the information he constantly provided. nWe were able to complete a rather complex deal with very good timing that left all parties satisfied. - Chris was extremely helpful to me as I purchased my first home. He helped me prioritize my needs and wants and evaluate all potential properties. I appreciate that he was very responsive, and easy to communicate with. Highly recommended! - I couldn't have been happier with the service that Chris provided. He answered all my questions and assured me to not hestitate if I had anymore. His experience and knowledge on condominiums were absolutely key in getting my home sold. Thank you again Chris! - Chris provided the ultimate in professional expertise and client service. His experience and knowledge were evident throughout the process and I was confident of the best representation in the market. Thanks Chris!! - Christopher Leon is the best! He brings so much to the table to assist you to reach your goal. He is full of insight and information that is unmatched. I would highly recommend you use him as your realtor. I can not say enough good things about how wonderful he was in his assistance in helping us with the process. Chris is your man! - We met Chris through the real estate investment group which he organized. He was very welcoming and easy going. We told him about our plans to buy an investment property. He managed to find us an amazing deal, was very professional, responsive and knowledgeable. He is an expert in repairs and he provided valuable expertise on how to get our rental property market-ready. He has real passion for what he does and for helping people suceed. We know we can trust him and we will be happy to work with him again and recommend him to our friends and family.